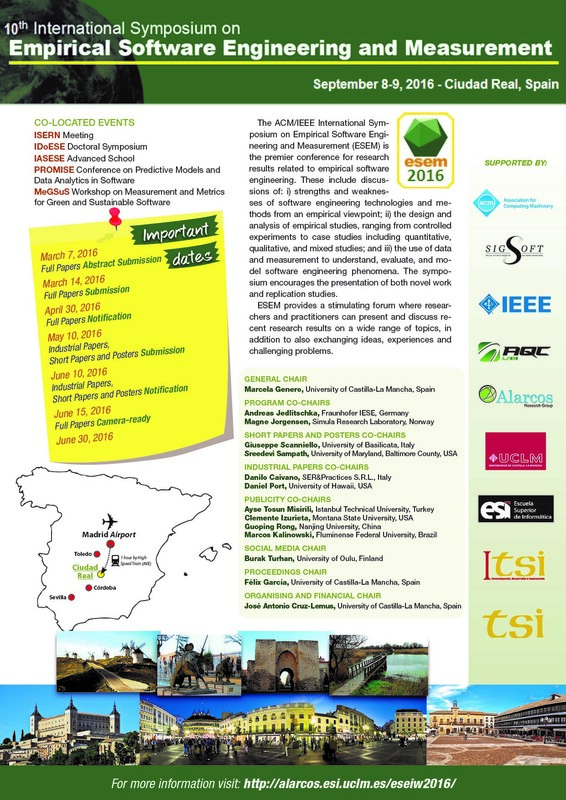 The International Software Engineering Research Network is pleased to announce the availability of funding to assist graduate students in attending Empirical Software Engineering International Week (ESEIW) events, specifically IDoESE, IASESE, and ESEM. The aim of the grants is to support excellent students, in particular from less privileged countries, who might otherwise be unable for financial reasons to attend the most important event of our community. Travel grants are available in amounts up to $2500 and can be used to reimburse up to 80% of documented travel expenses (transportation, hotel, registration, and daily allowances according to German law) for attending either IDoESE or IASESE and the ESEM conference. Students wishing to apply for funding should complete the application by July 1, 2016. The application consists of two parts, both of which should be sent via email to andreas.jedlitschka@iese.fraunhofer.de. A description of the applicant’s motivation to participate in ESEIW, including current status of studies, main interest, current research question demonstrating commitment to empirical software engineering, as well as the potential benefit the applicant might have from attending ESEIW. The student should address all the evaluation criteria listed below in their description. A support letter from the current supervisor also describing the need for the grant. Does the application demonstrate the student’s commitment to empirical software engineering research? Does the applicant provide a good argumentation for the likelihood that participation in the events will positively impact the student’s work? Does the applicant have an accepted proposal to be presented at IDoESE for the current ESEIW? 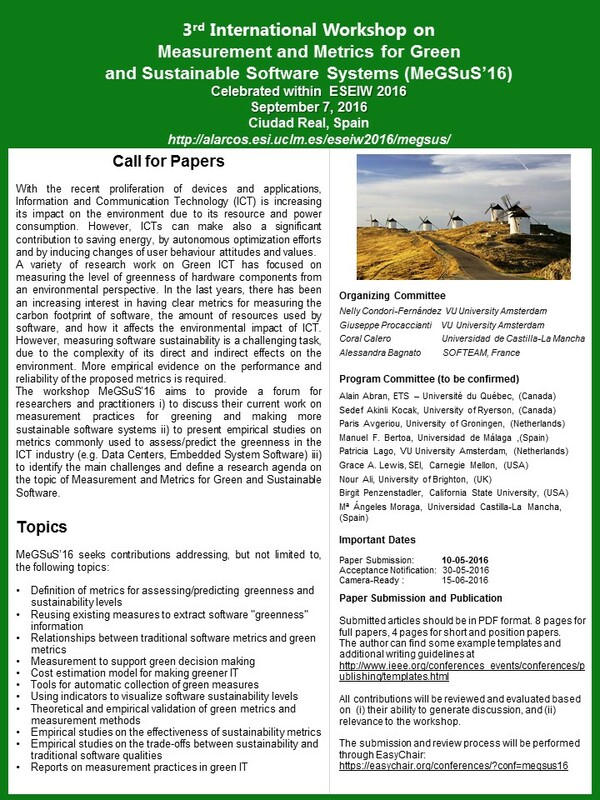 Is the applicant the author or co-author of an accepted paper, short paper, or poster at ESEM for the current ESEIW? Will the applicant will be able to attend the workshop if ISERN support is not provided? What are the estimated costs? As with any public money, economical use of the funds has to be ensured. Award recipients will have to comply with rules about allowable expenses and reporting. Decisions will be made and communicated before the early registration deadline for the ESEM conference. Please direct any questions to Dr. Andreas Jedlitschka (Andreas.Jedlitschka@iese.fraunhofer.de).